Today the very act of marriage is the will of a couple to promise an eternal love. However, this image of romanticism is far from its origins. Indeed, in Roman society, there was more talk of citizen duty which allowed families to serve their common interests at a political as well as an economic level. This right was, moreover, forbidden to slaves and to foreigners. It was customary, from the age of 14 years old for a young man and 12 years for girls to start negotiations to establish an arranged marriage. When the parents had agreed, the future spouses usually meet on the day of the betrothal. The wedding then seals after signing a contract and a point by the family of the bride. 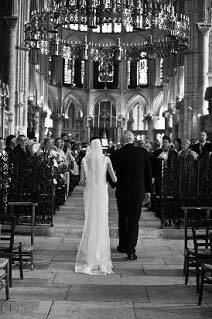 At the arrival of the Christian religion, religious marriage becomes an official act and the church quickly forbids divorce. For years, the woman was considered inferior by passing under the authority of the father to that of her husband. A complete submission which will not evolve until the 19th century thanks to the evolution of the rights of the woman for equality of the sexes. Thus, with the French revolution, women emancipate themselves and gradually acquire rights that are theirs. Also, formerly called master, love takes precedence over family duty and the term “master” formerly used to characterize her husband then becomes the beloved being! La tradition de la bague de fiançailles vient de l’antiquité romaine. A cette époque, il ne s’agit que d’un simple anneau que l’on passait déjà à l’annulaire gauche. Celle-ci se place à la main gauche car on imagine à cette époque que c’est au niveau de la veine de l’amour qui relie directement la main au cœur. A l’origine, les alliances étaient en fer. Maintenant, elles sont en général en or. A partir du 15ème siècle, on dissocie l’alliance à celle des fiançailles qui diffère car surmontée d’une pierre précieuse. The tradition of the engagement ring comes from Roman antiquity. At that time, it was only a simple ring that was already passed on the left finger. This one is placed at the left hand, on the vein of love that directly connects the hand to the heart. Originally, the rings were made of iron. Now they are usually gold. 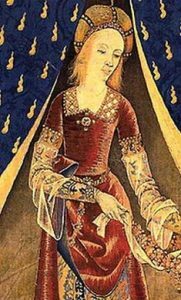 From the 15th century, one dissociates the alliance to that of the betrothal which differs surmounted by a precious stone. At the time of the marriage of love, the engagement is an opportunity for the parents to meet. 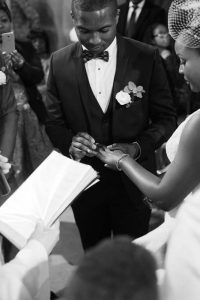 The bride is then offered a ring surmounted by a diamond by her fiance who was handed over to her by family inheritance. 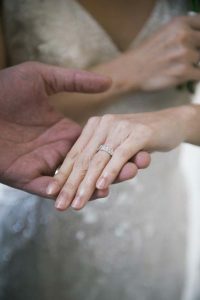 So, if the future bridegroom owns a family stone, he proposes, with the help of his jeweler several ring projects to his fiancée who must make her choice. If the ring is blessed and officially offered at Mass, it must be offered before the meal alone and without a witness. An engagement card is then sent to announce the news. Their recipients follow a list that respects the title of each one. First, business leaders, directors, employers or military superiors, then the costume of address: friends, relations, long-standing suppliers and retired servants who are being honored. In the past, a note in the newspapers was published. This one does not keep sending individual cards. Formerly known as “taking leave of his friends”, the ancestor of the bachelor party dates back to the eighteenth century. This custom was once reserved for men only. The tradition is that the bridegroom invites his former “flirts”, in agreement with his bride and even most often at home, along with her friends. The evening is held by a reception limited to young people which goes from the cocktail to the supper and which ends sometimes the most banally of the world by going to see a film. The term Burying means killing in his old life as a young man! For her part, the girl, until the twentieth century, invited her friends for a snack only at the home of her parents. It is only in the 1970s that the bachelor party for women exsisted and it is thanks to the evolution of the state of women that this really evolved! On the day of the marriage, the choice of witnesses was quite different. Indeed, over a certain hierarchy. If the fiance was an officer, he asked his colonel to assist him. The journalist asked his director; The engineer, the president of his business. There was a witness on each side, at the town hall and two at the church. As it was necessary to choose the same witnesses for the town hall and the church, it was quite possible to extend the courtesies and those of the heart. Today, the choice of witnesses is based solely on the heart! 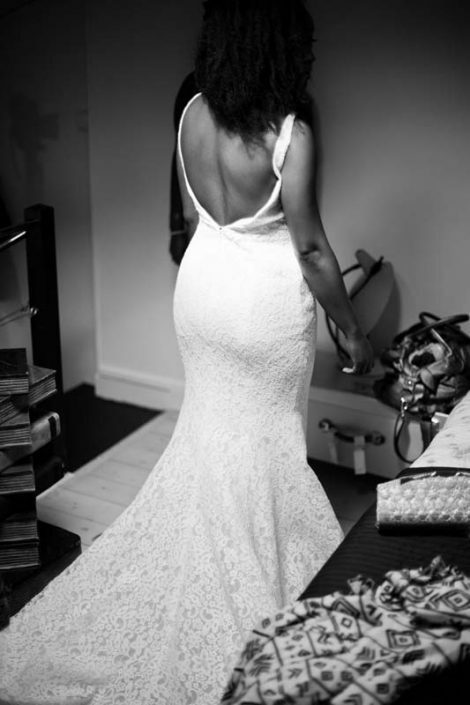 The wedding dress has always been a traditional dress. 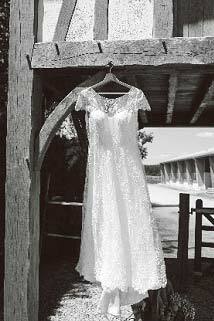 In antiquity, the wedding dress consisted of a white tunic and a red belt. Red at that time was the symbol of virginity. A crown of orange blossoms or verbena branches completed the outfit. Then, in the Middle Ages, this one is not really specific and is mostly red. This depends solely on the budget available to families. 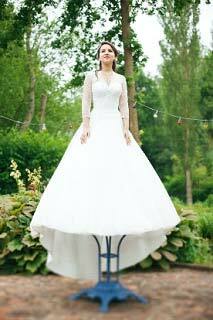 The white color was not found only in the inner hems of the dress. The young brides adorned themselves with their finest dresses without troubling themselves about the color of it. Red was the color most often requested because often the most successful by dyers. All colors were possible such as blue, brown, yellow and even black because all its colours symbolized at that time fertility and maturity. Contrary to the current code, the choice of white dress was synonymous with poverty. 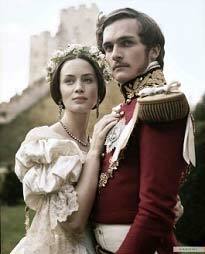 In 1840, Queen Victoria overturned the dress codes by marrying in white. This choice of color was for her a will to put the accent in the eyes of all on its purity! Also, in a spectacular satin dress and topped with a crown of orange blossoms, white became fashionable again. After World War II, due to a lack of fabric the style of the wedding dress became simpler by shortening the length of the dress at the knees. The Catholic Church resumed this tradition in order to perpetuate it. 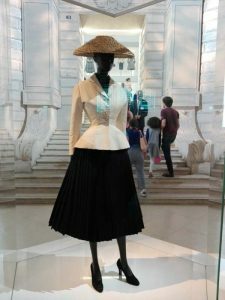 Even though the Victorian style became fashionable notably because of the war but also by the stylist Christian Dior who created in 1947 his Newlook style for a much more refined style. Today, the white color is still unavoidable and a rarity are the brides who dare to marry in another color.